Rustic and traditional. Women can step out and make a fashionable appearance with these unconventional dirndl pumps. 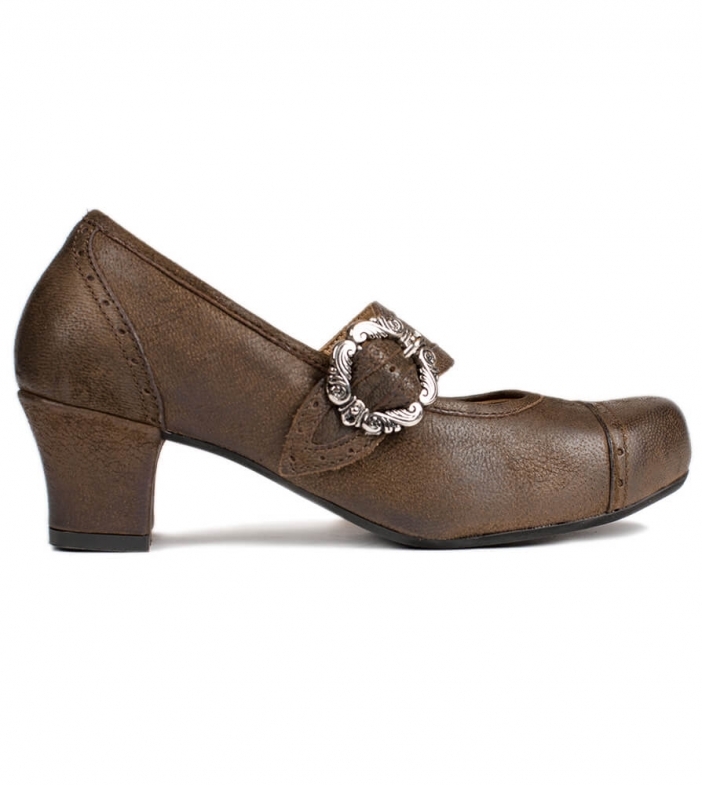 This pretty shoe in rustic nubuck has been made in soft leather and has a comfortable block heel. It impresses with sophisticated decorative seams that are designed to leave an impression. A slightly pointed toe and a wide leather strap with a historic buckle give the shoe a dashing appearance.